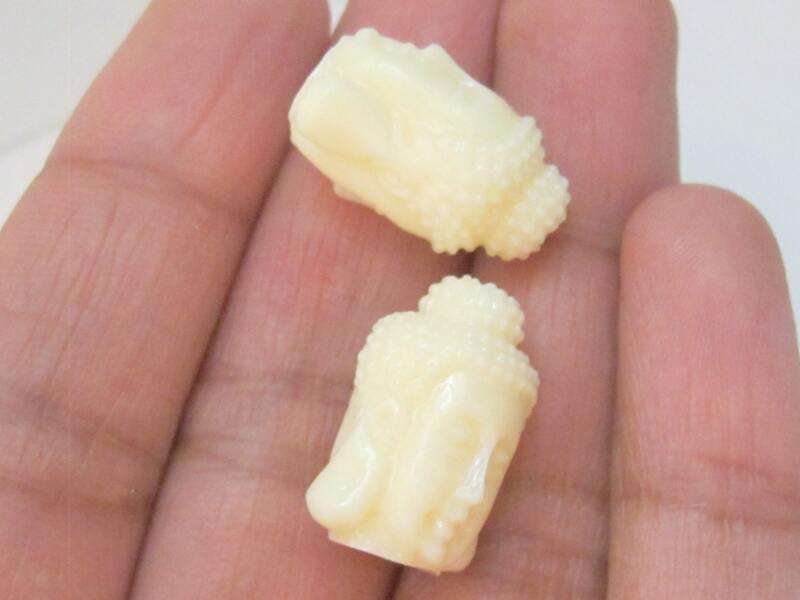 This listing is for 2 beads. 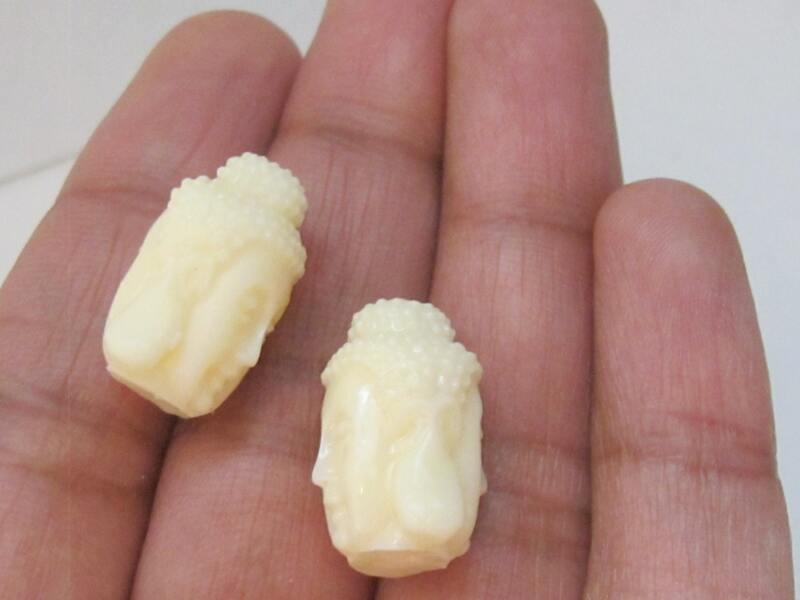 Light weight Buddha resin beads. Dual sided. Vertical hole drilled from top to bottom.